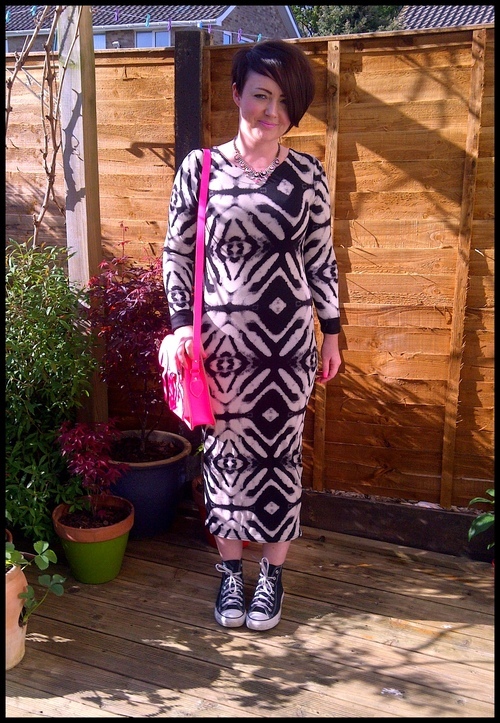 Our tie-dye monochrome midi dress ticks three of the SS13 fashion boxes! Not only does monochrome go with everything (that's the whole point!) but the tie-dye print and midi length make it bang on trend for this glorious burst of summer weather we're having. We all know summer days turn into chilly evenings so having a midi dress with sleeves is perfect for when the sun goes down. Got a festival to go to this year? Summer garden party? or just a day chilling with your friends, then this is it! 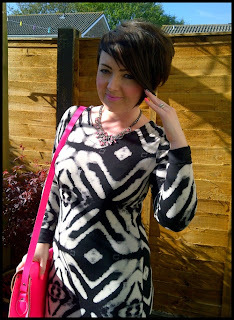 Thanks Emma & Gemma for featuring our midi dress and inspiring us to put tie-dye and neon together!